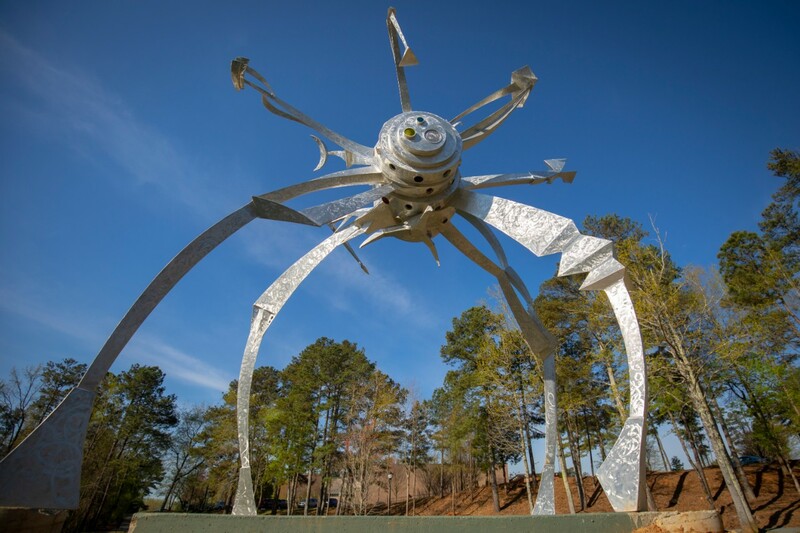 Standing 16’ tall, Exploratory Unit 01 is a whimsical, abstract, aluminum sculpture suggestive of an alien spacecraft or a giant mechanical insect. 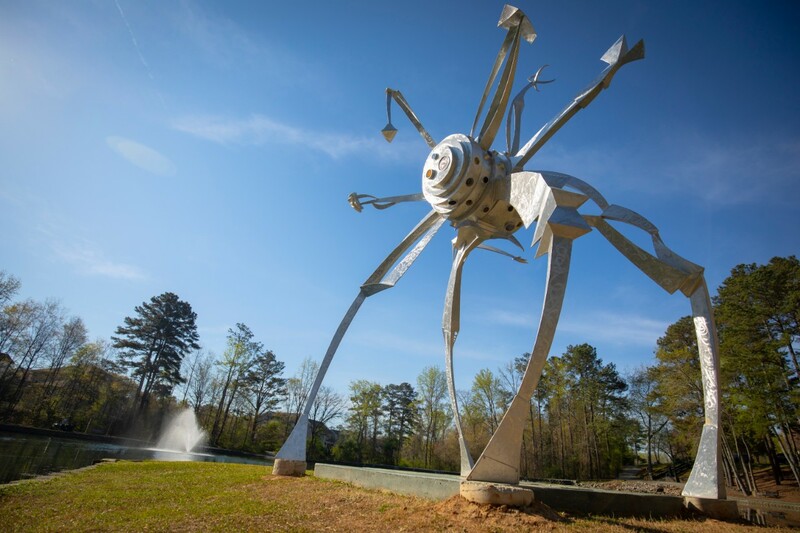 The name suggests the possible creature’s purpose but also the exploratory process the artist used to create the sculpture. 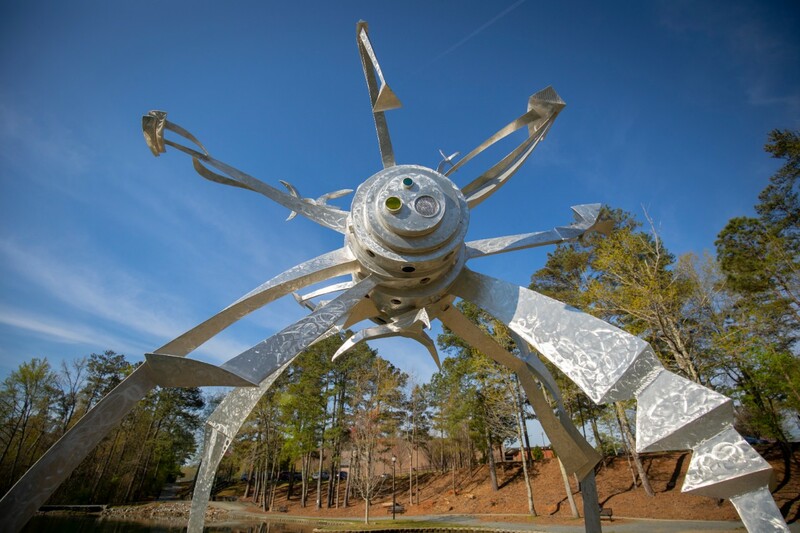 The sculpture plays with abstract sculptural forms, colored glass, and solar lighting. 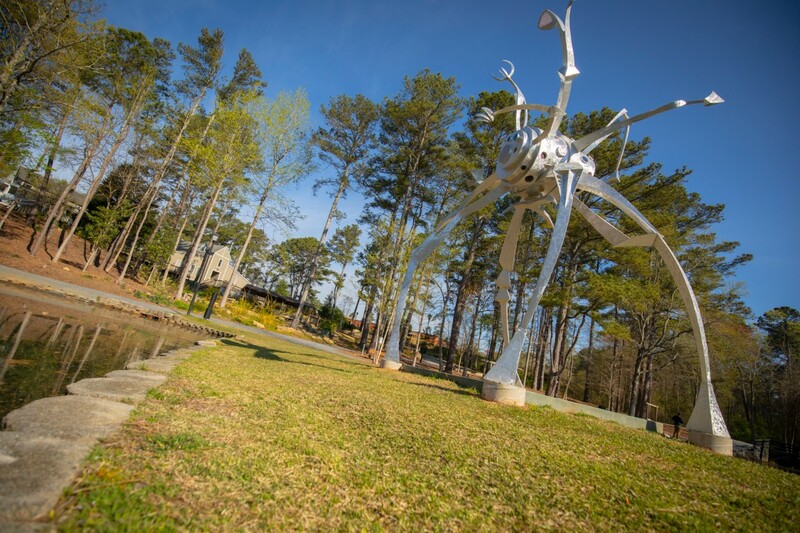 If you visit the sculpture as the sun begins to set, you will see it glow! 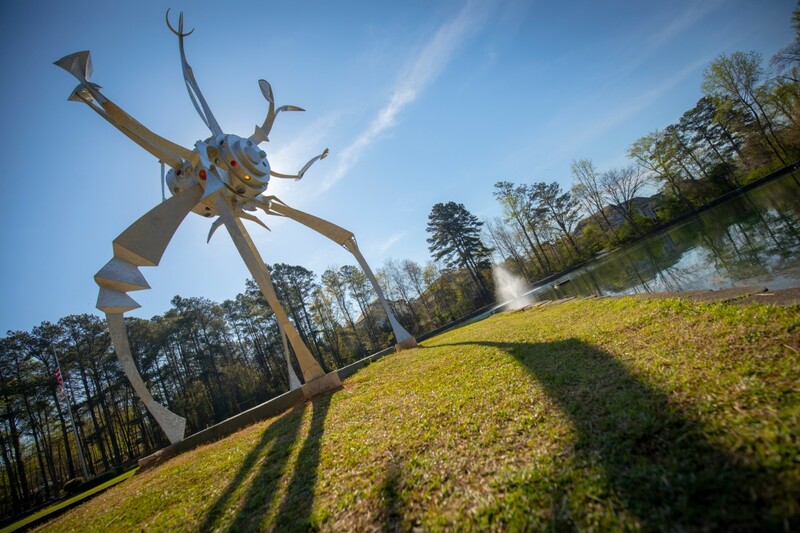 When the artist designed and fabricated it, he was inspired by the story “War of the Worlds” by H. G. Wells. Harry McDaniel’s artwork is diverse in materials, style, technique, and content. It is difficult to explain the diversity, except to say that he loves to experiment and is drawn to new challenges. He works with wood, metals, cement, plastics, and found objects. Some of the threads that tie the artist’s work together are humor, a fascination with curves, motion (or implied motion), and an interest in the human condition. His sculptures can roughly be divided into two parts–decorative works and social commentary. In all of his work, whether decorative or provocative, he aims to offer viewers a new perspective.